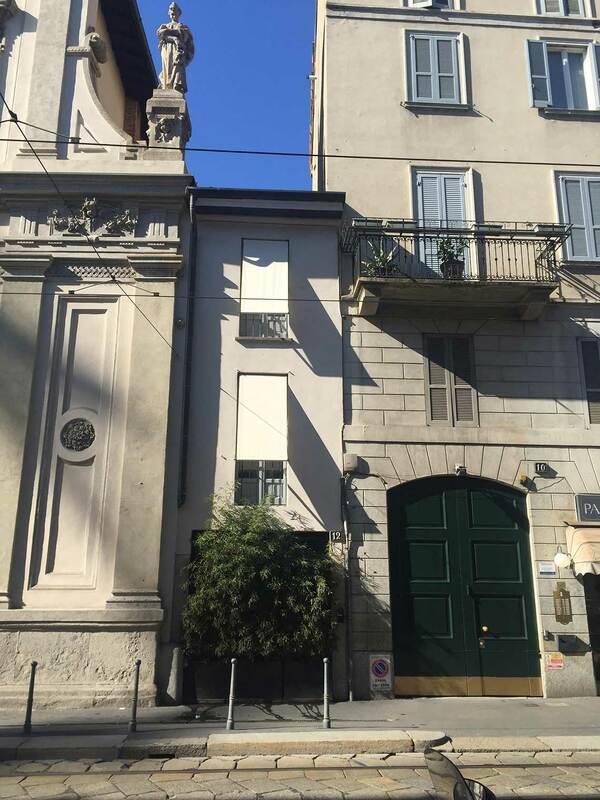 Architects Giovanna Cornelio, Massimiliano Locatelli, and Annamaria Scevola founded CLS architetti in 1993. Davide Agrati joined later in 2005. 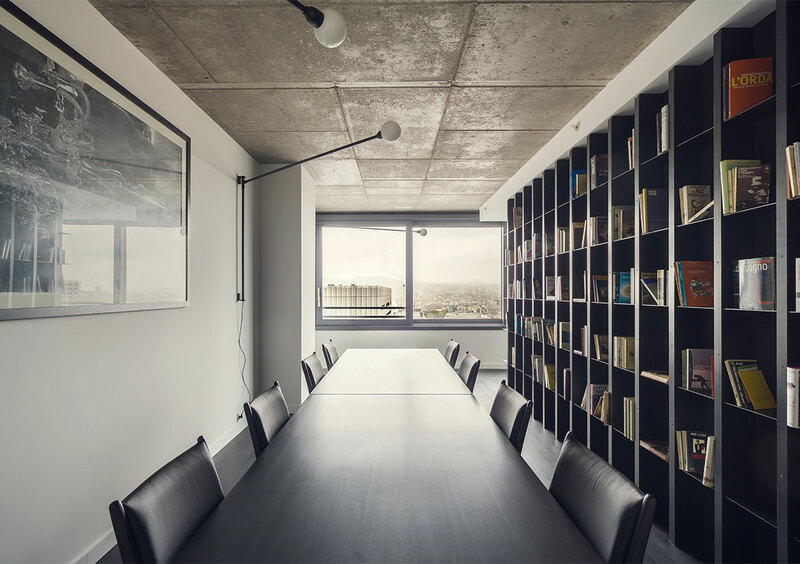 Design in its various scenarios is the spine of the firm, which focuses on the architecture of new buildings, residential buildings, shops, and showrooms across the globe. The residential buildings created by CLS architetti are the result of the firm’s close and direct relationship with clients, which develops through diversified interventions finding the perfect balance between existing projects and new ones. 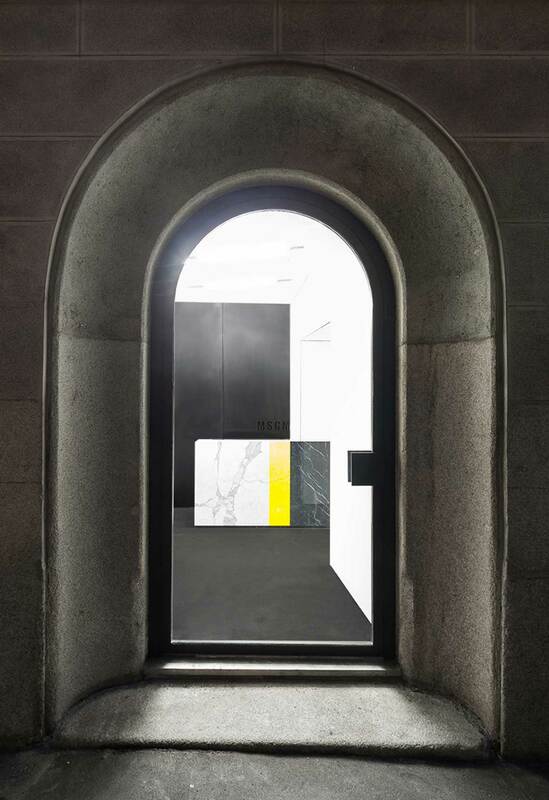 Continuous research on space and materials and the design of details have allowed CLS architetti to collaborate with major players in the fashion industry, creating bespoke concepts that find their expression in shops, offices, showrooms, and fittings. 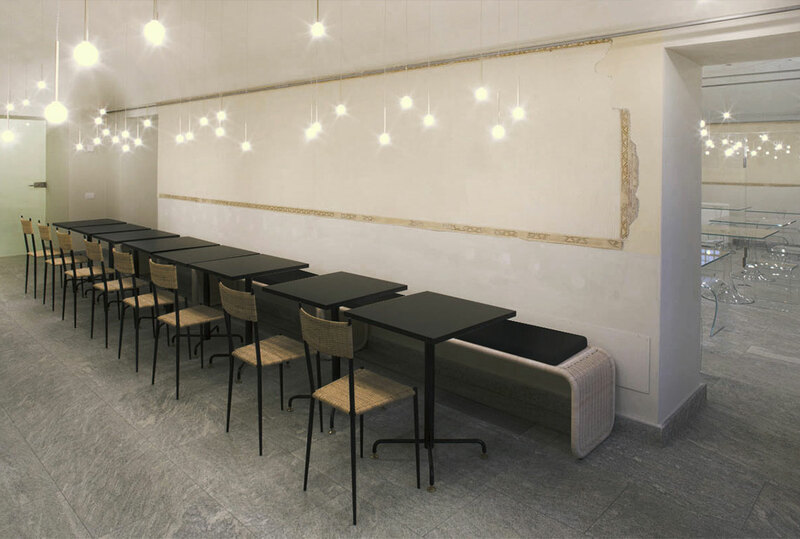 The firm’s approach also translates into the design of furniture for bespoke and corporate projects. These pieces are made in collaboration with highly skilled workers, combining tradition and innovation. Some of these creations are showcased in major design galleries. 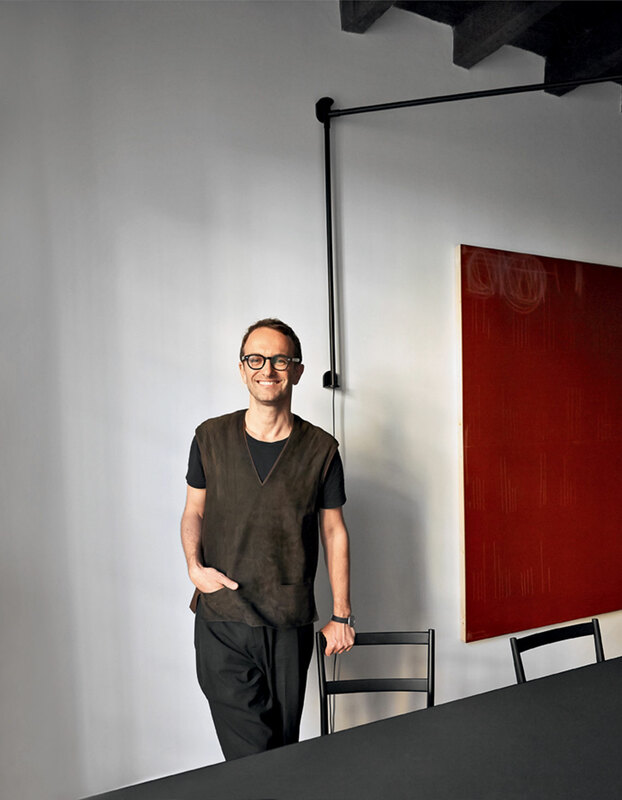 CLS architetti has studios in Milan and New York. 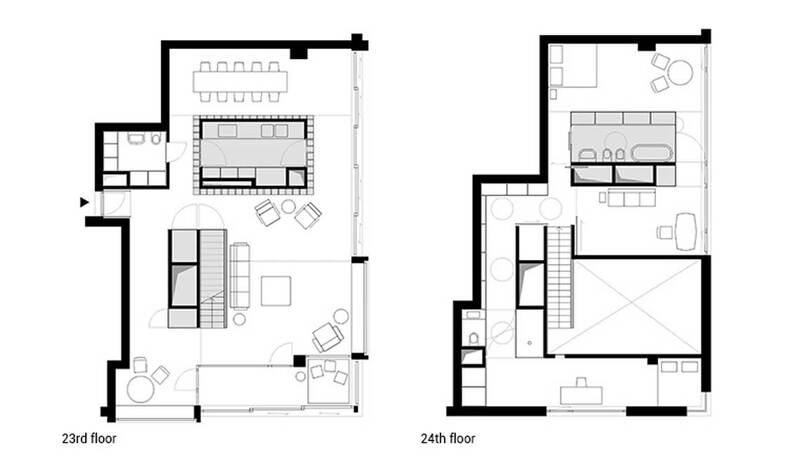 The firm has a team of over 60 professionals, including architects, engineers, and designers. 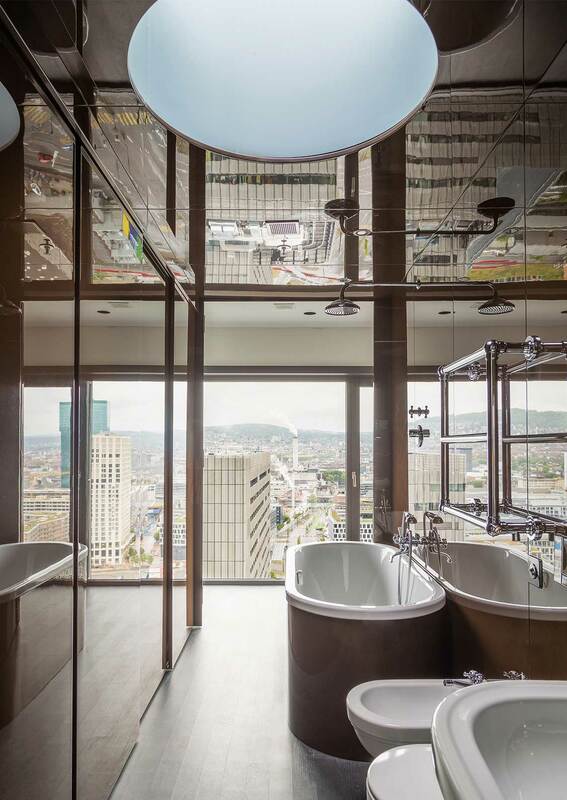 Take a look below at a few of our favourite residential & commercial projects by this illustrious architecture studio. 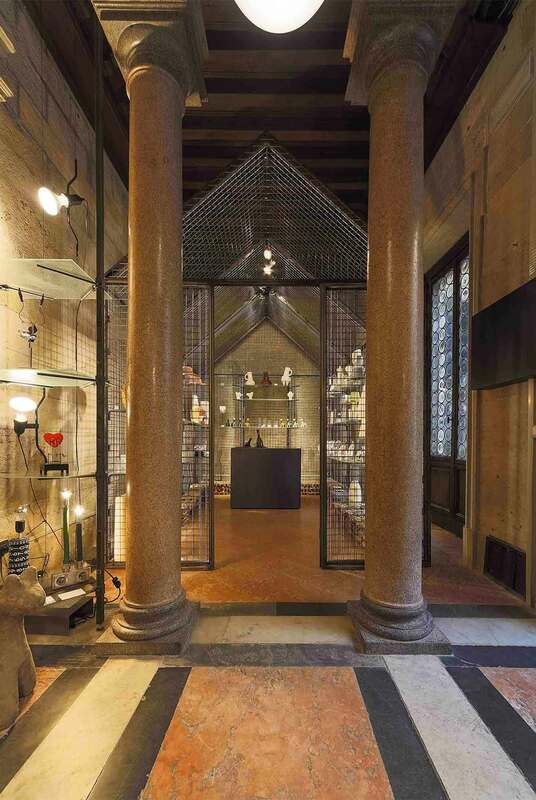 Related post: Massimiliano Locatelli’s CLS Architetti Studio Set Inside a 16th-Century Church in Milan. 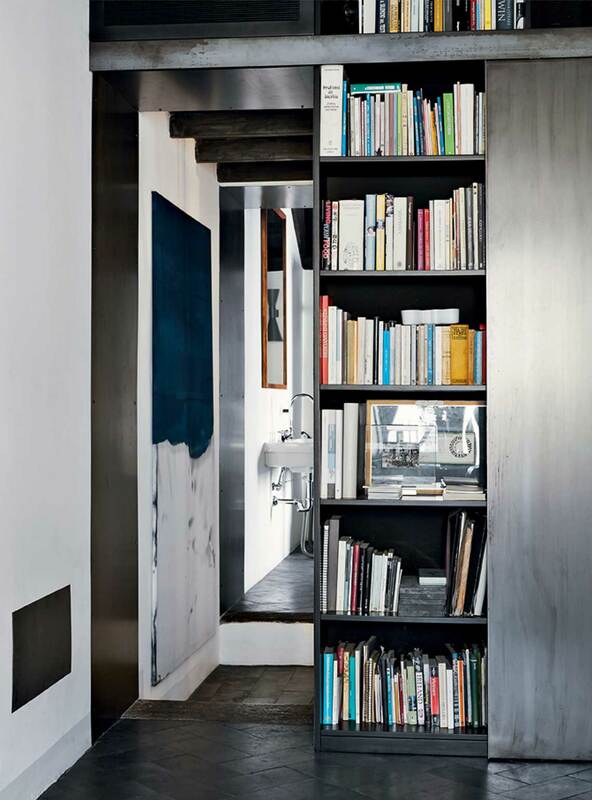 Townhouse in Milano, 2013 by CLS Architetti // This is one of the smallest 18th Century townhouses in Milan. 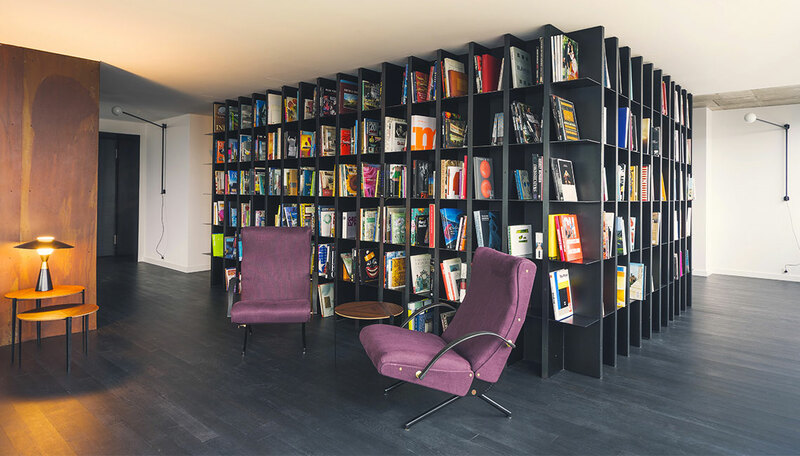 To balance the proportions of the long and narrow rooms, furniture and bookcases in waxed black steel have been installed against the short walls. 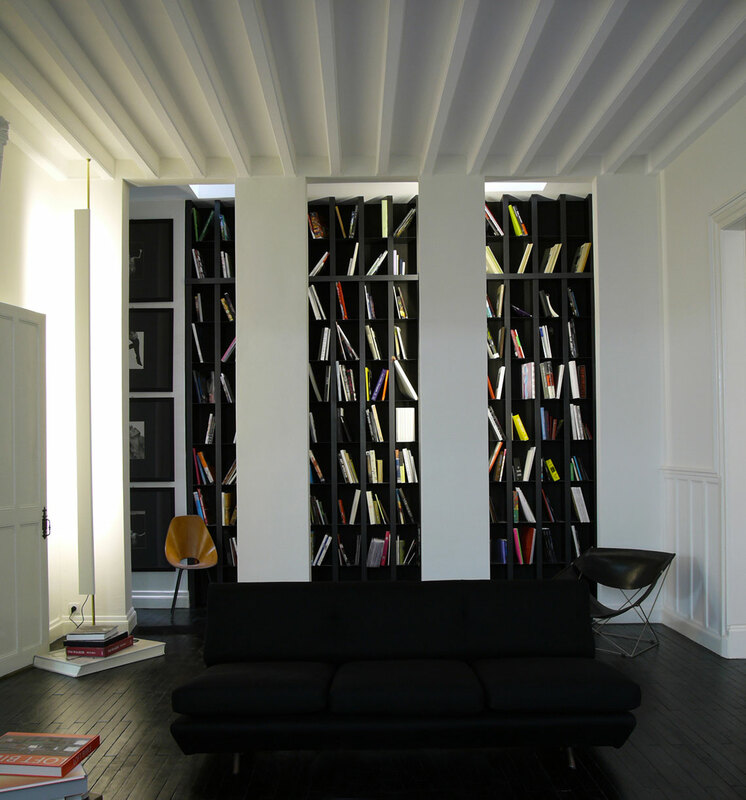 The coffered ceilings were stained with black ink, as if they had been blackened by fire. 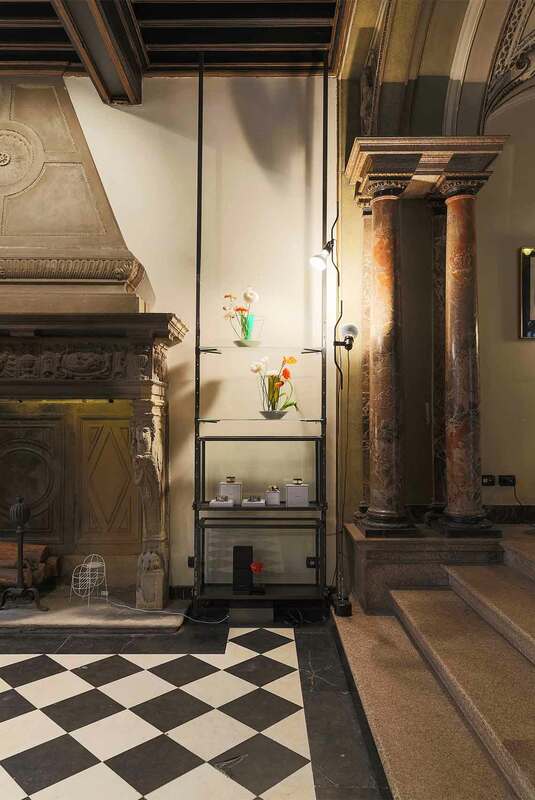 The floor in the area between the dining room and the kitchen was restored, while the living room was covered with Tuscan Bucchero or black fired ceramic, which has a very contemporary appearance due to the black finish. 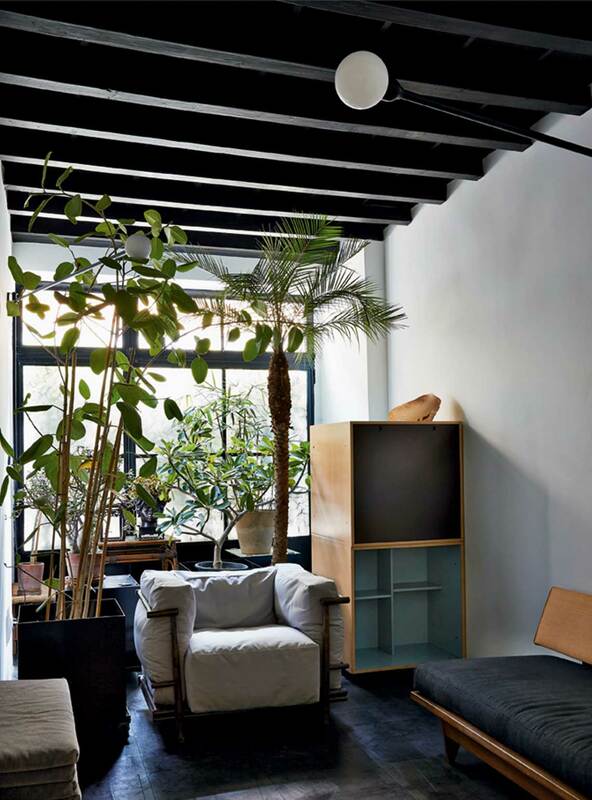 Floors and ceilings are black also in the entrance hall, which looks to a greenhouse lit by the glazed front to the street, on which the shades of the bamboo on the outside are outlined. A band of light composed by glass polyhedrons created by for graces the entrance floor, ascending 12 metres upwards through the small space between the two ramps of the stairs, faced by; the dining room and the kitchen, the living room and the bathroom, finally reaching the top floor where the bedrooms are located. 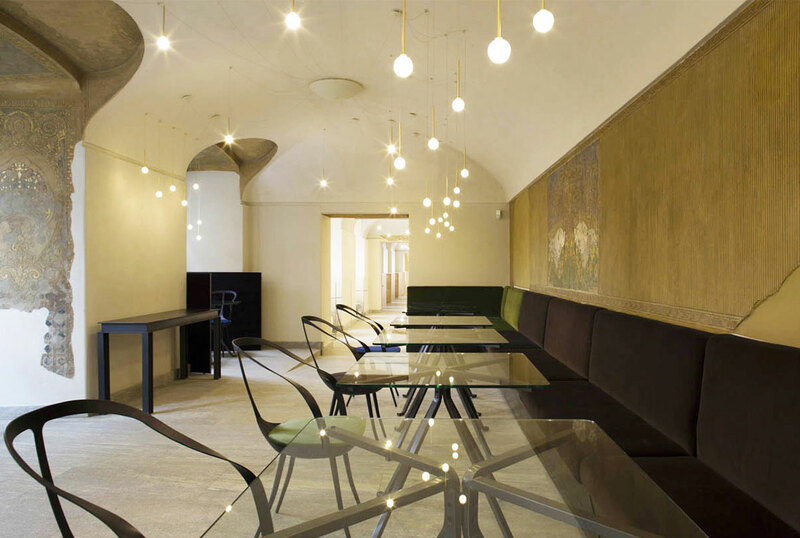 Design Shop Bagatti Valsecchi Museum Milano, 2013 by CLS Architetti // The project, commissioned by the Rossana Orlandi Gallery, consists of the creation of a design shop inside the . 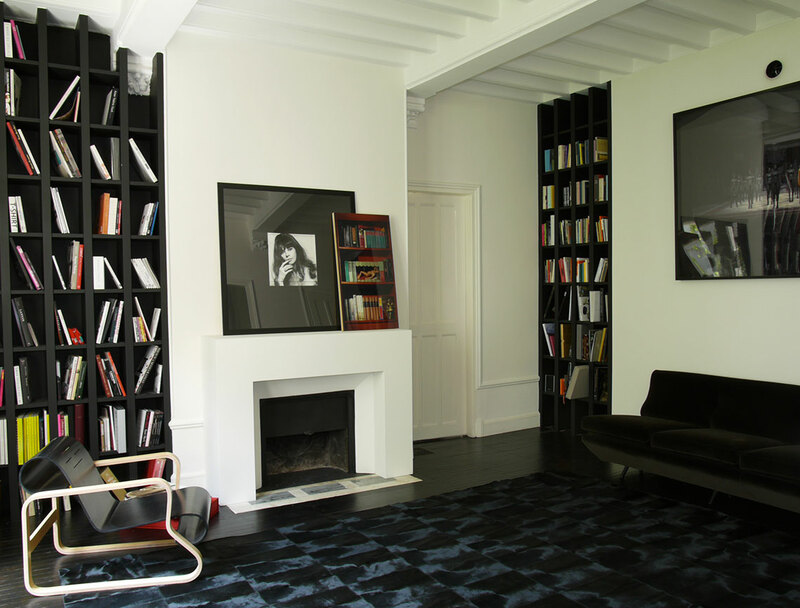 Due to the restrictions laid down by the Fine Arts Superintendence, it was impossible to touch any existing structures, and it was therefore decided to design an ad hoc structure – a house within the house, with a rectangular plan, pitched roof and central door. 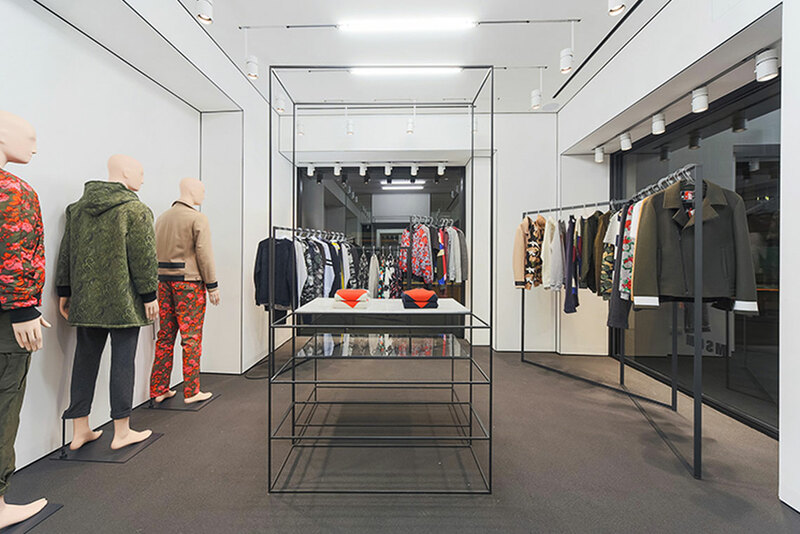 The architecture is wholly made from untreated steel and metal mesh, to which elements and supports for displaying the items for sale have been fastened. The materials are inspired by the sets of armour from neo-renaissance exhibited on the museum’s top floor. 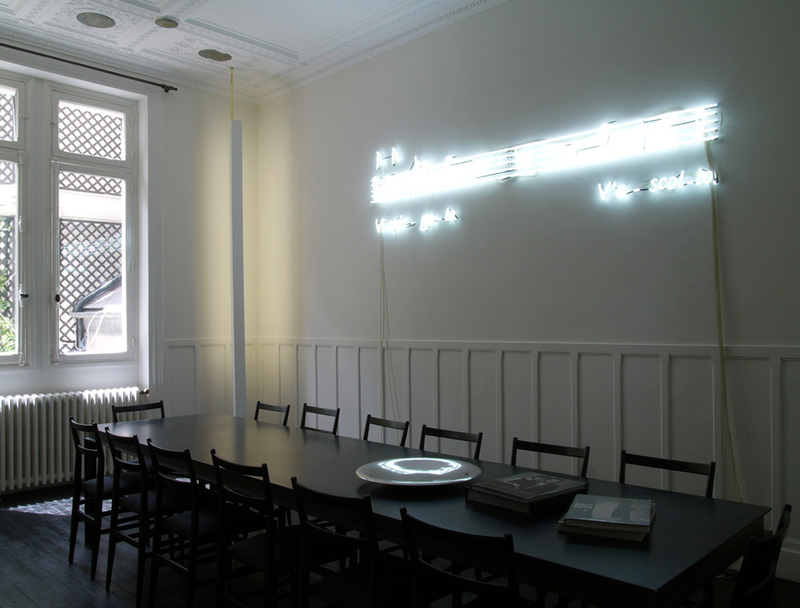 Related post: 2.0 Exhibition at the Museo Bagatti Valsecchi, Curated by Rosanna Orlandi // Milan 2013. 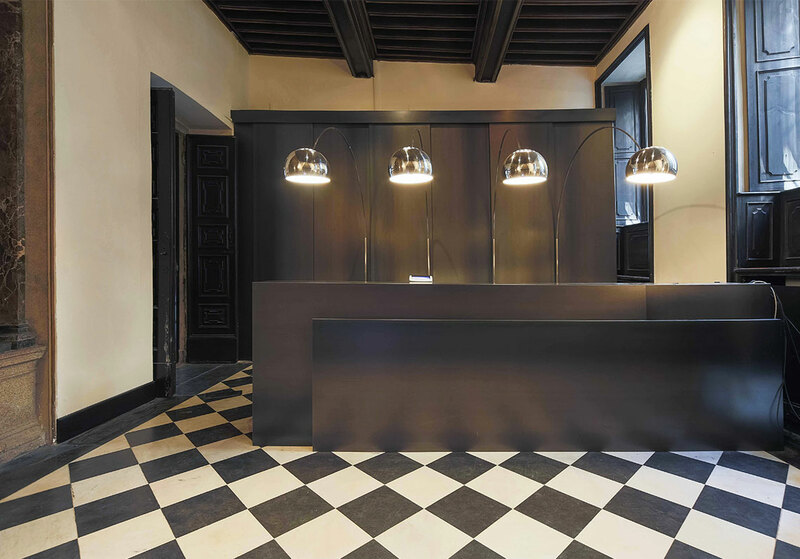 Hotel Particulier Paris, 2009 by CLS Architetti // Hotel Particulier project involved restoring the space back to its original proportions and harmoniously blending historical and contemporary materials and details. The restored original staircase connecting all four floors was restored. The basement houses the utility area; the ground floor, the lounges and a library; the master bedroom is on the first floor, while the guest rooms, which feature a large skylight that opens onto the roof, are on the second floor. 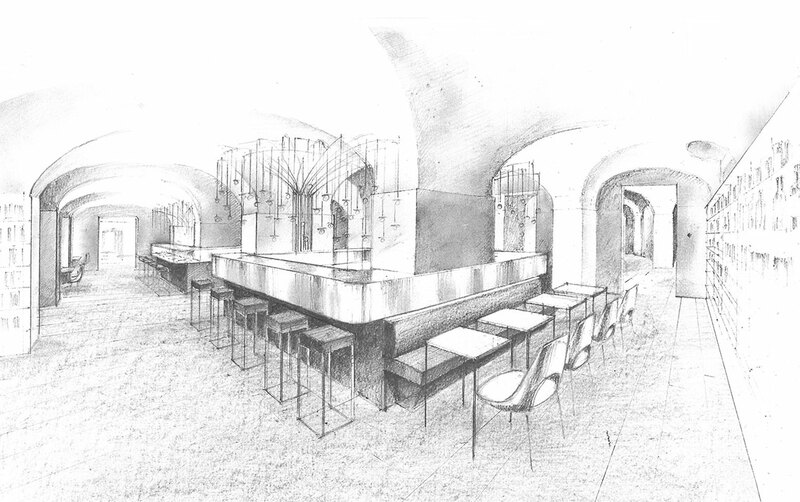 Le Cucine di Villa Reale Monza, 2014 by CLS Architetti // In a fascinating architectural frame on the ground floor of the , one can find – an exclusive restaurant interior of which has been created under the artistic and design guidance of Massimiliano Locatelli. 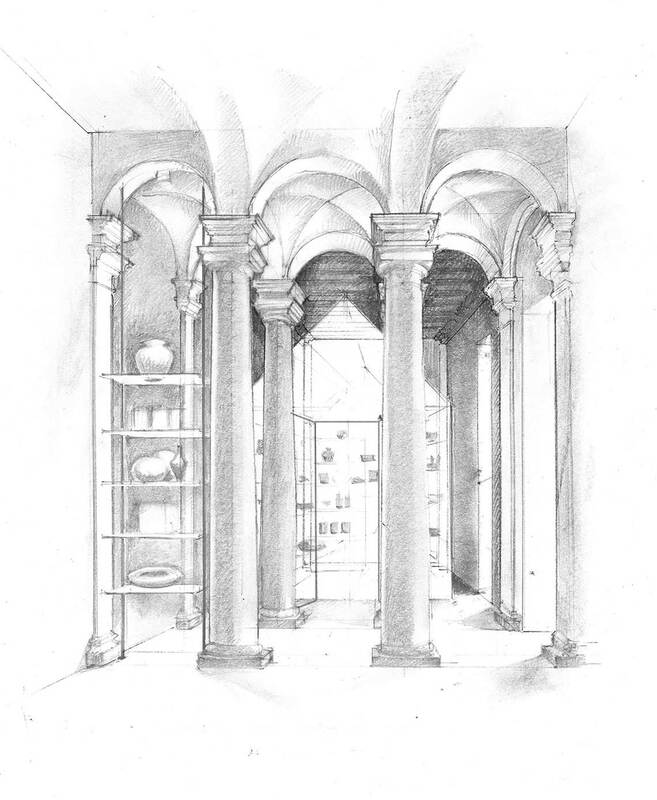 The project consists of seven rooms, which have been renovated and reinterpreted by some of the most important names in Italian design: , , , , Cassina, and Cappellini. 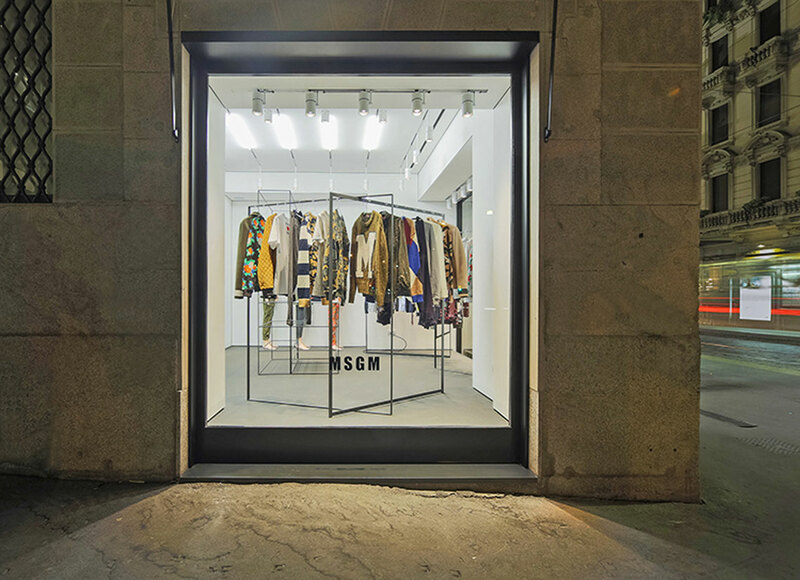 MSGM Store Milano, 2013 by CLS Architetti // The is a place of contrasts, which find the right balance for the brand’s eclectic clothes. 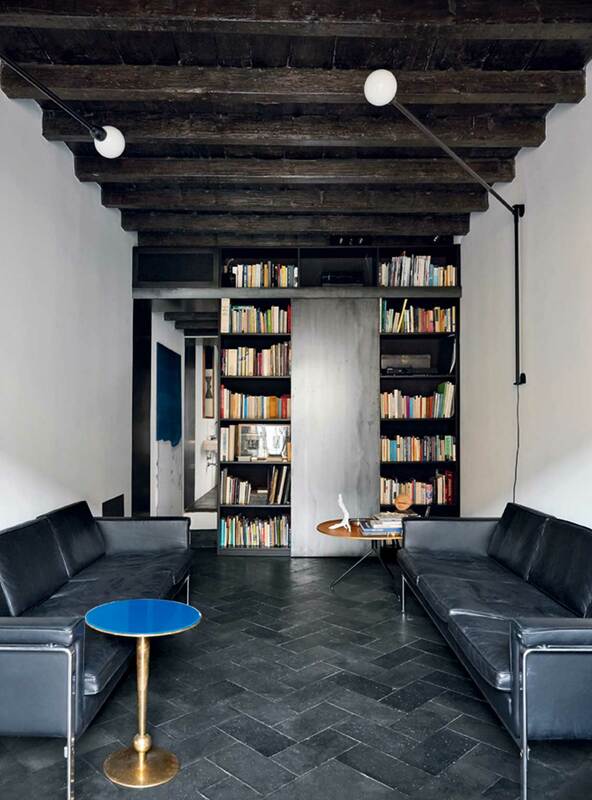 The black asphalt flooring brings to mind the pavements of the metropolis. 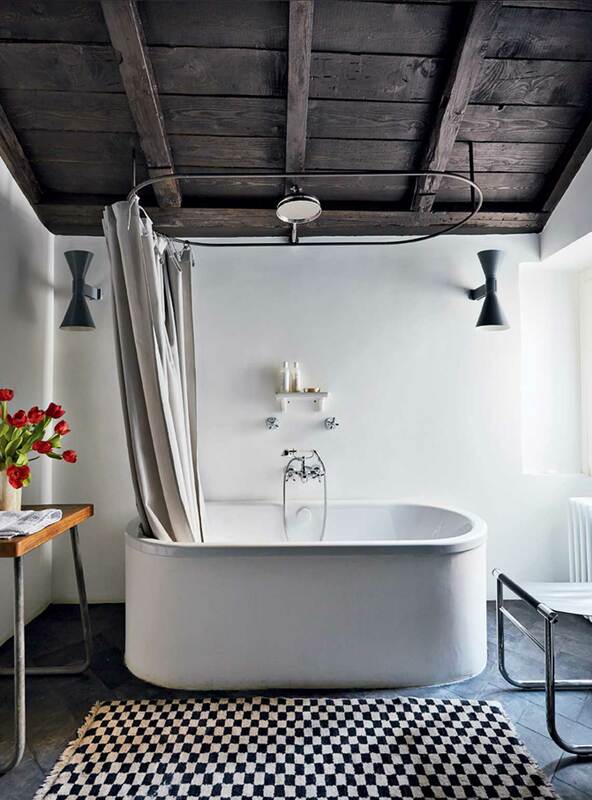 White plaster walls, elegant marble, and a black natural rubber line define the borders of a space that houses a small tree that protrudes from the roof. The two levels of lighting allow for an even diffusion across the environment and directly onto the clothes worn by pink mannequins. 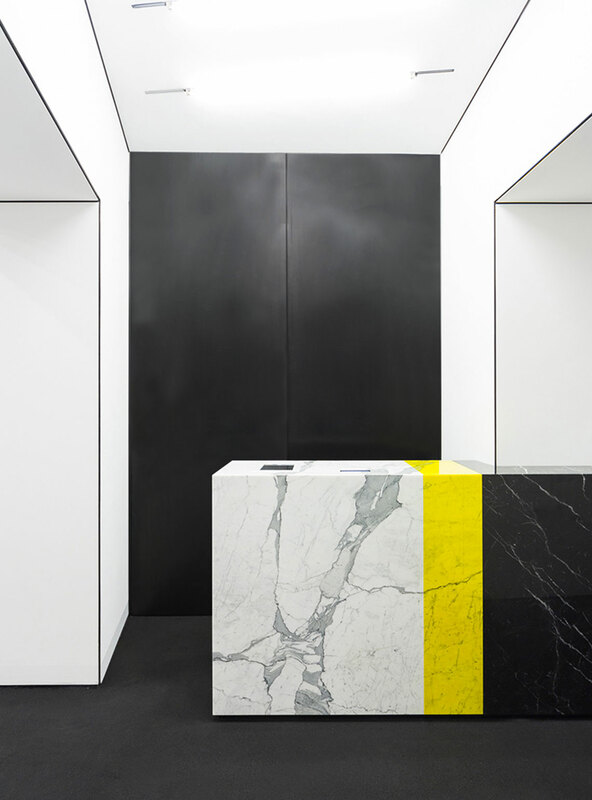 Related post: MSGM Fashion Headquarters by Fabio Ferrillo of Offarch // Milan, Italy. 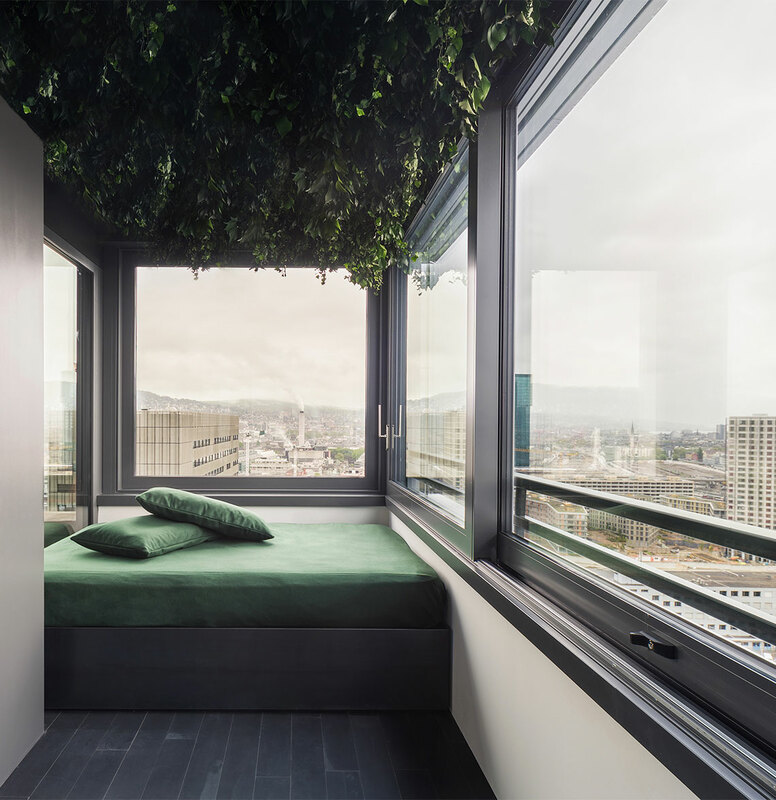 Penthouse Zurich, 2014 by CLS Architetti // The interior design of the duplex penthouse, conceptualised by Massimiliano Locatelli and , has radically transformed the space, making it flexible and adaptable to the customer’s requirements. 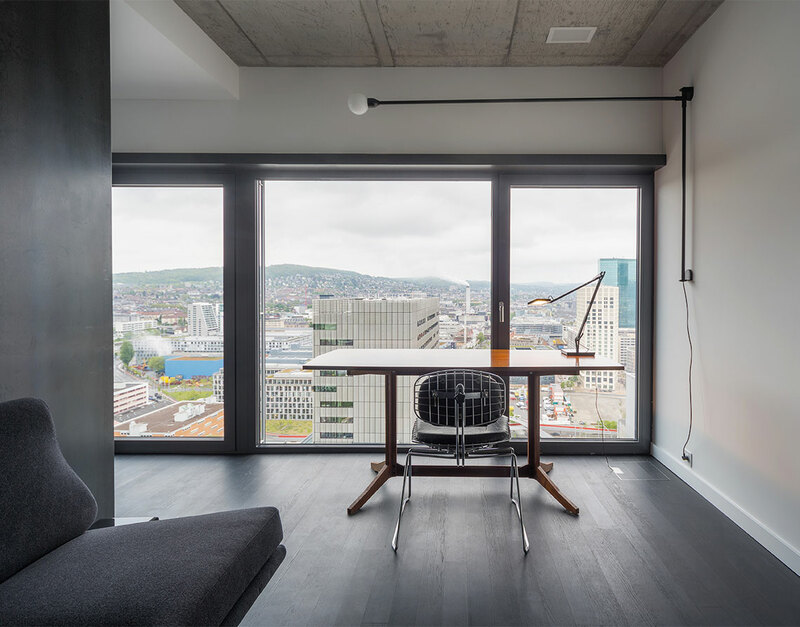 The project features large volumes faced with different materials that open and close to create an open space, or a more traditional home divided into rooms. 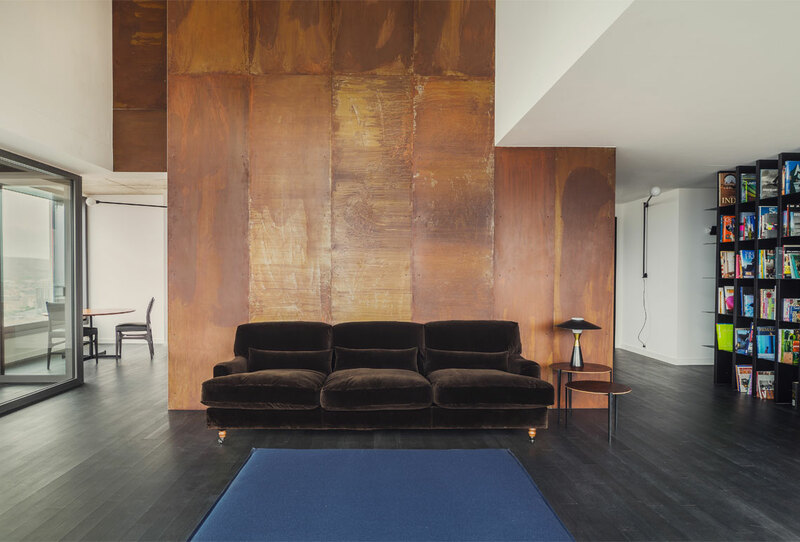 The materials chosen for the surfaces are all natural and textured: black steel, rusted steel for the stairs, timber with glossy brown varnish in the bathroom and dark stained wood for the floors. 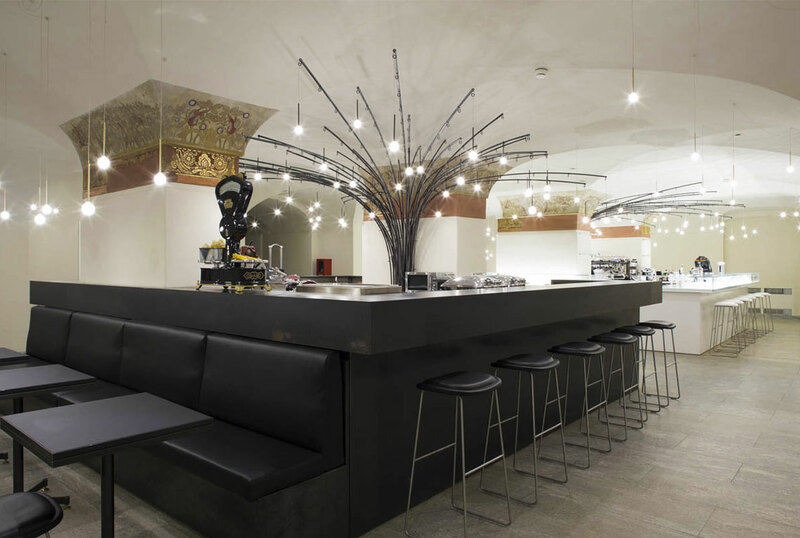 Brand New Creative Studio of AB Concept in Hong Kong.